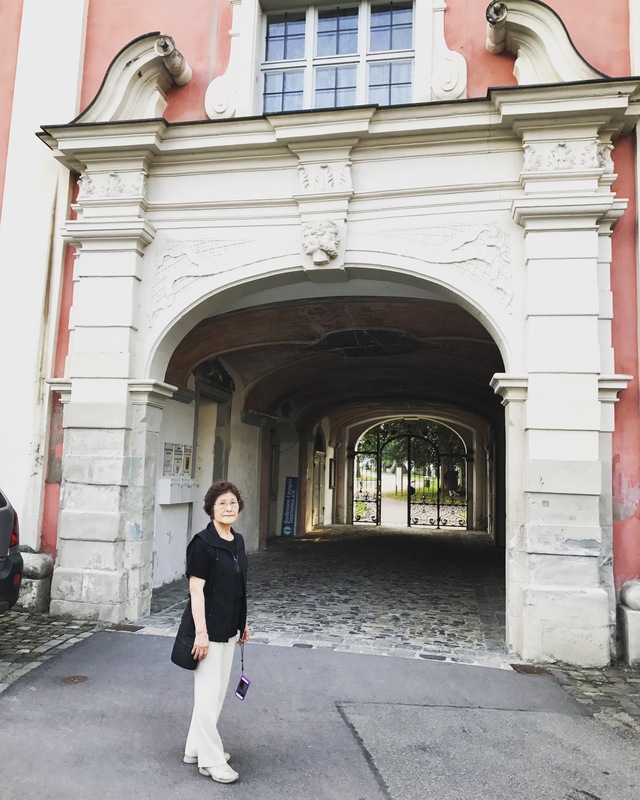 After our last “German” supper at the beer garden, mum and I strolled towards the direction from where the cyclists appeared. ‘What can it be?’ We were very curious. The hotel in which we stayed was two white buildings in front of the brown square building “Eingang” – a ticket office & shop. The former monastery guesthouse and the present hotel was to be built on the edge of the monastery boundary near the right bottom corner of the map. By the way, “unteres tor” means “lower gate” in German. The gatehouse was very substantial and impressive. Inside of the deep passage had no illumination and the opposite side of the gate with decorative steel gates looked like the end of a tunnel. 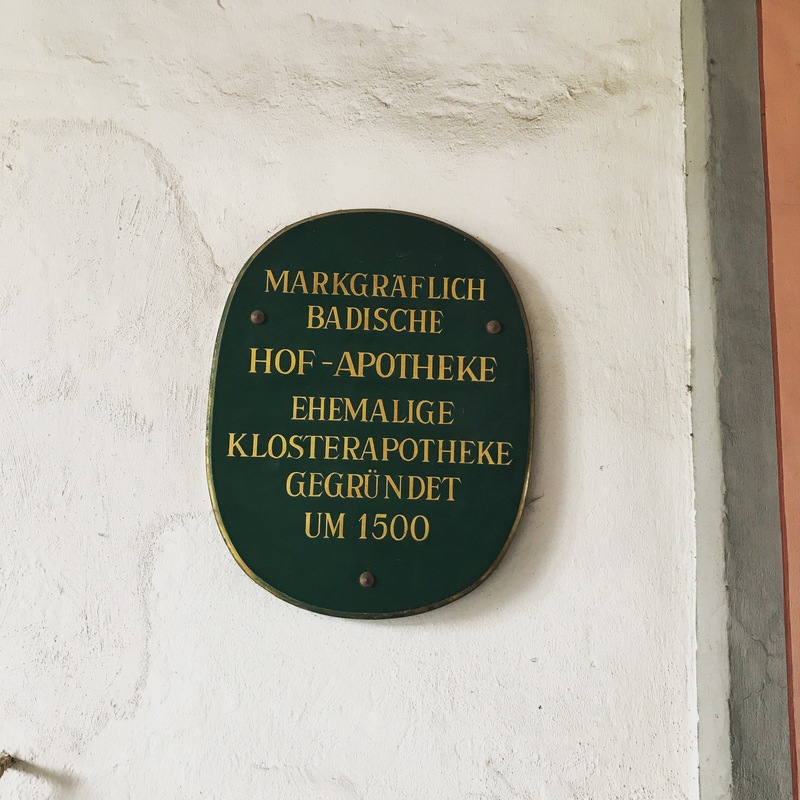 The plaque stated “Markgräflich Badische, Court Pharmacy, former monastery pharmacy founded around 1500”. Apparently, a term “Hof-Apotheke” suggests that the pharmacy was not an ordinary kind but a court pharmacy which was for a princely court. 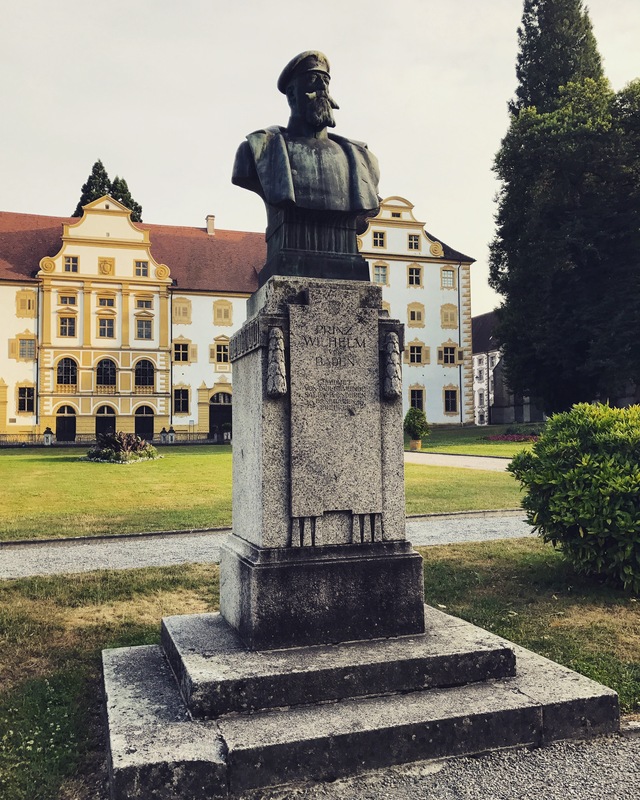 I don’t intend to delve into the history of the pharmacy too far, but I imagine the monastery must have had a close tie with the imperial court of Holy Roman Emperor as the portrait of the abbot with a badge of the Imperial Eagle in my previous post. There was another thing which made the place rather unique. 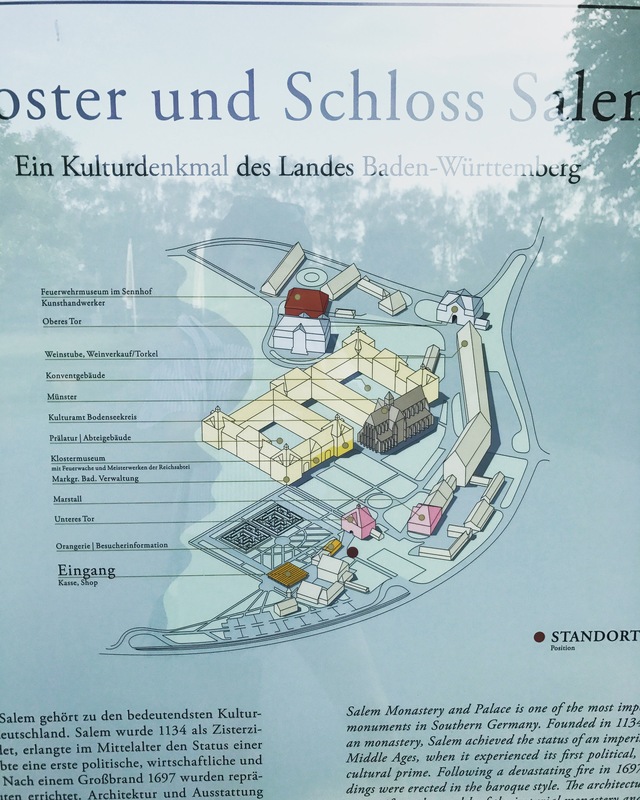 It was a name, “Kloster und Schloss Salem”. 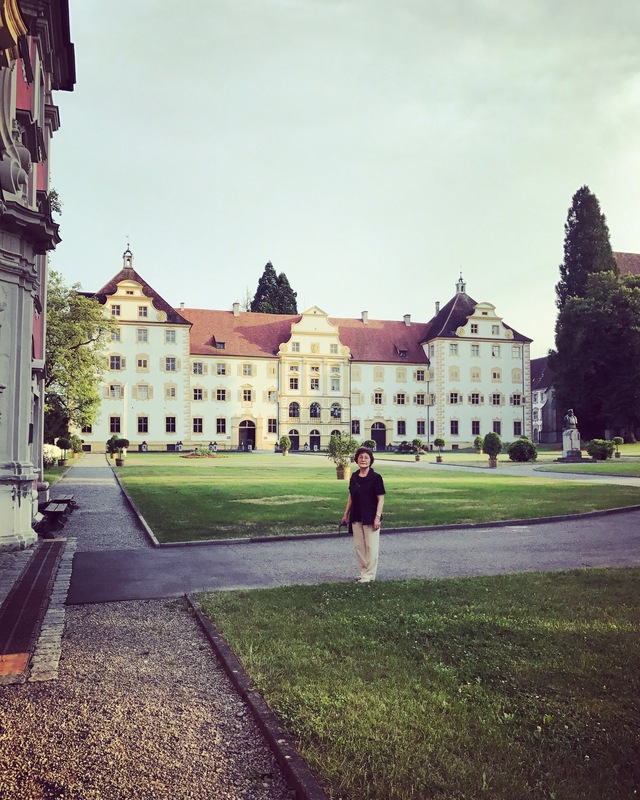 A term “Schloss” which means “Palace” in German and it may mislead some people including me as the place was once a residence for aristocrats or royals. Contrary to my expectation, the place was used exclusively as a home for the Cistercian monks until 1803. 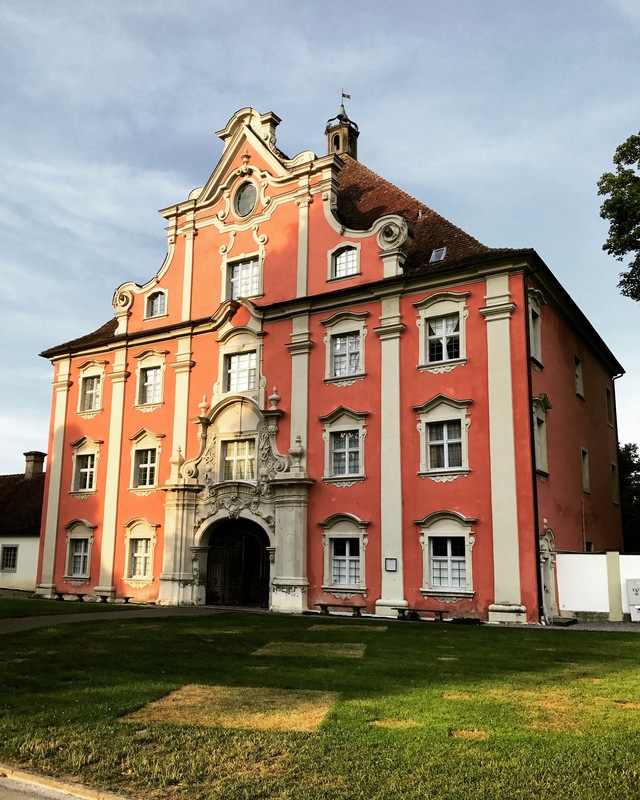 I have been trying to find out why it was called “schloss” but my effort hasn’t bore fruit so far. If anyone knows the origin of the naming, please enlighten me! The other side of the gatehouse was a large open turfed ground with crisscrossing footpaths and pavements. 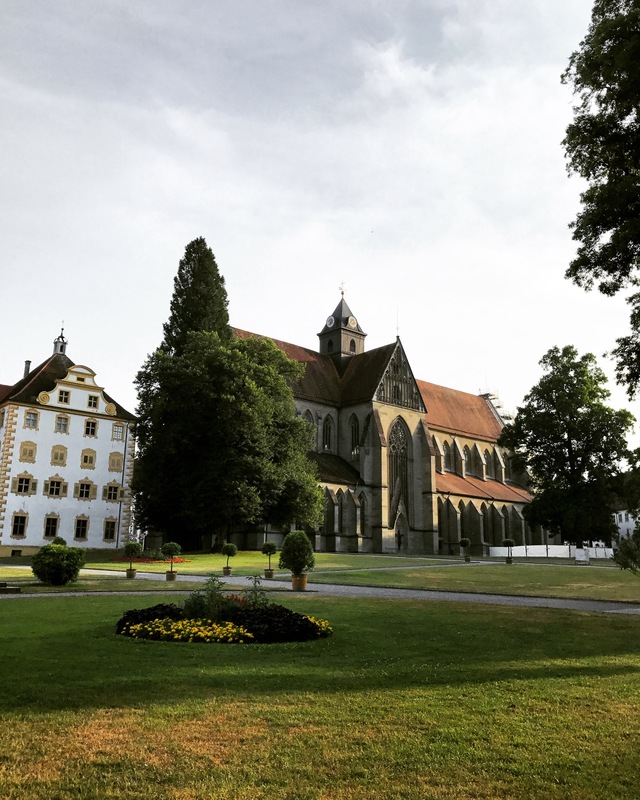 The building used to be Salem Abbey and now it is owned by the State of Baden-Württemberg. Inside, it houses the administration faculty of Markgräflich Badische, the cultural office of Bodensee district and a museum dedicated to the former monastery. 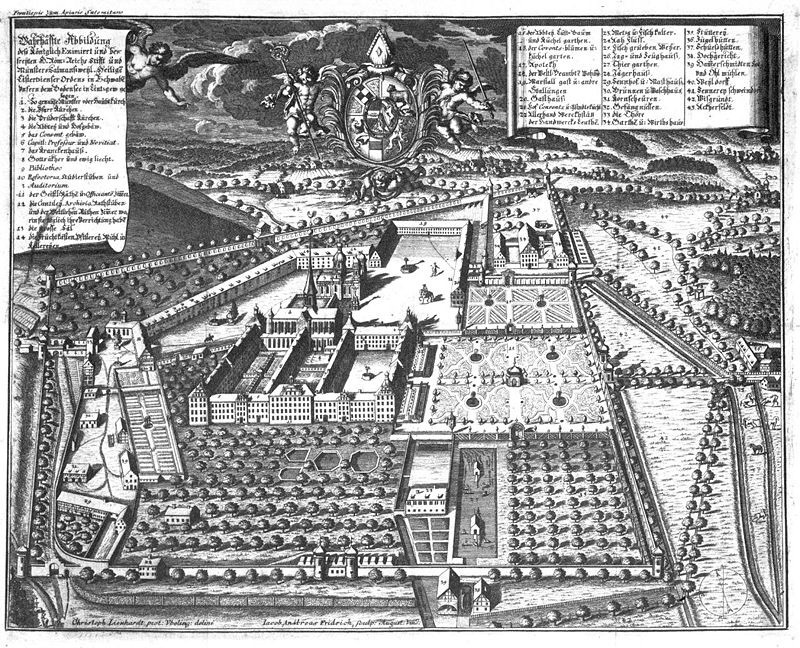 You may wonder why the abbey, which was established in 1134, is in Baroque style? It was because the original structure from the 12th century was destroyed by a fire in 1697 and the reconstruction was done in the style of Baroque. The only structure escaped the fire of 1697. The sound of pipe organ was heard through the door which stood ajar. It seemed to be the church was holding an evening service. One thing I still remember vividly about that church was the small of the place. As we walked past the opened door, a whiff of musty smell, which was like the one of cellar’s, struck our nose. It smelt very very old, we agreed. 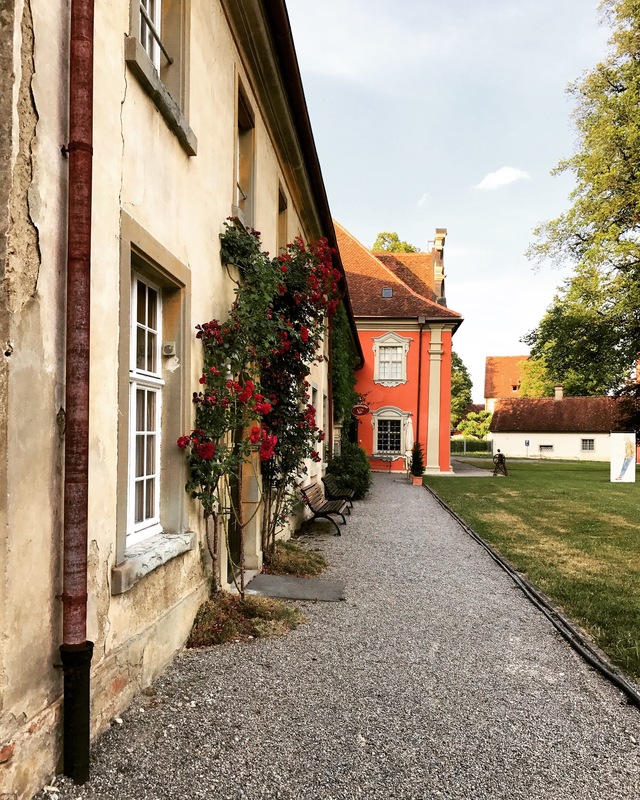 His family, the house of Baden, gained considerable territory in Southern Germany after the Holy Roman Empire was finally dissolved by Napoleon in 1802. Napoleon decided to reorganise the aftermath of the dissolution by giving away key territories to secure an alliance with the prince-elector of Baden and in which Salem Abbey was included. “Marstall” means “royal stable” in German. This ornate structure was created in 1734 for the horses and carriages of the abbot and its guests. 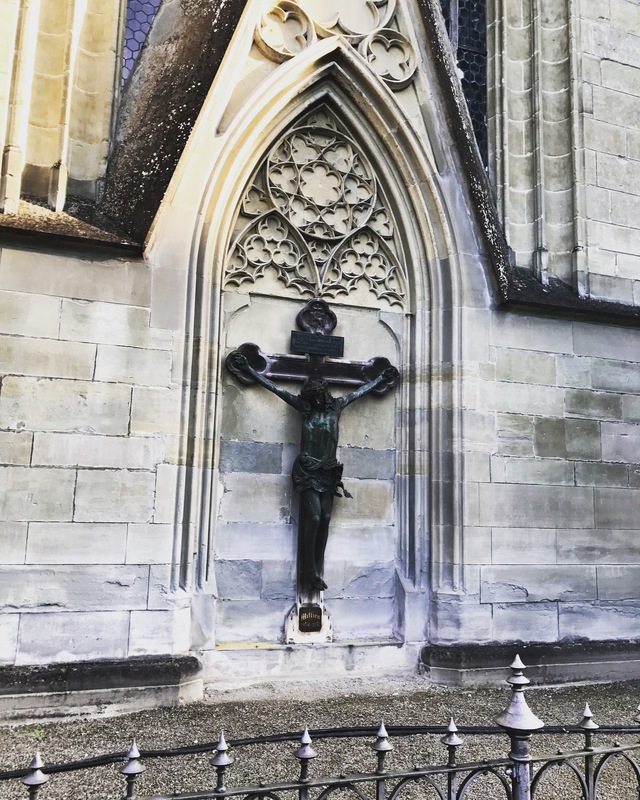 According to the guide book, the Baroque interior was still almost perfectly preserved and it was decorated with paintings and wood sculptures by Joseph Anton Feuchtmayer. If I had known more about the abbey beforehand, I could have shown all of them to mum. Damn!! Some of them were clearly commercial premises and the others seemed to be used as a storage. 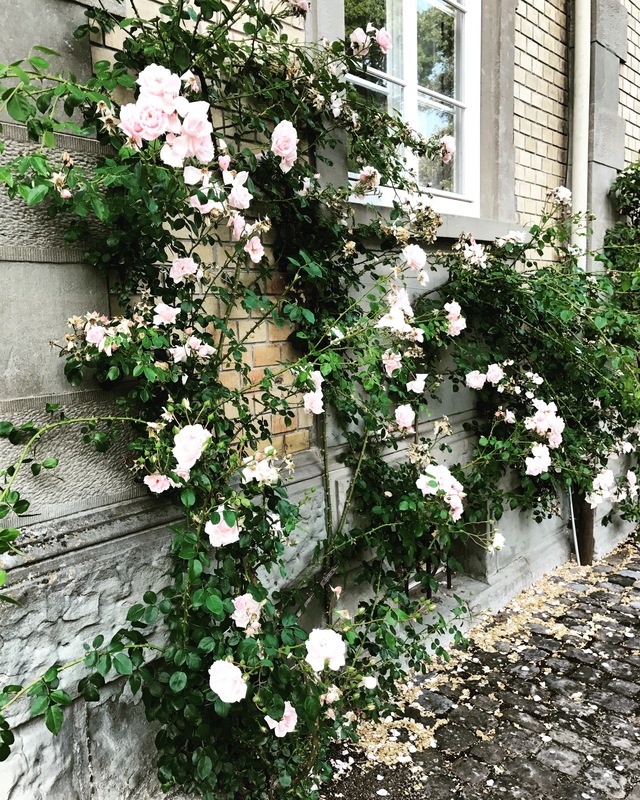 The roses were very well kept and the place was spotlessly clean. But where is everybody? We were puzzled as there was not a single soul around us. ‘I guess all went home for the weekend already because it’s Friday?’ We reasoned as we pottered along the path. Fancy meeting you here, your Majesty! 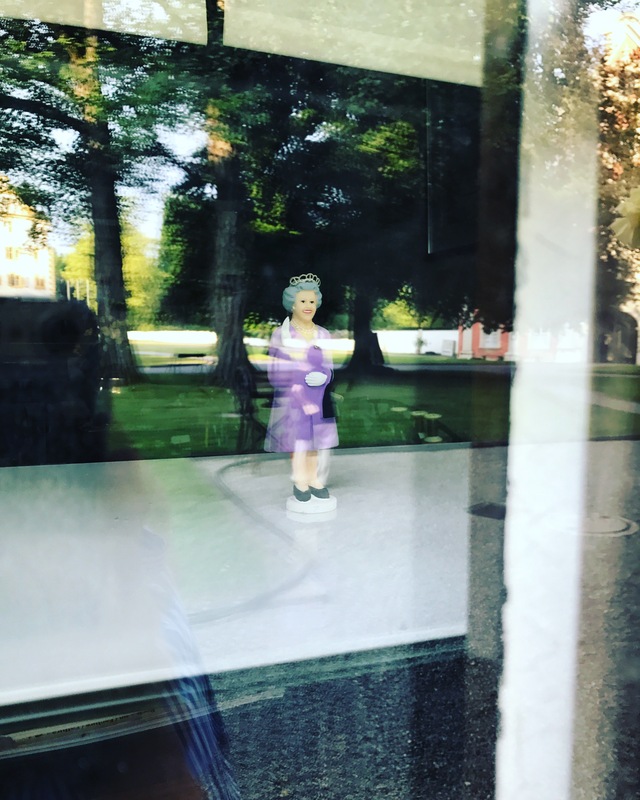 In one of the window, I spotted a bobblehead doll of Queen Elizabeth! The sight made us smile because it was totally unexpected. 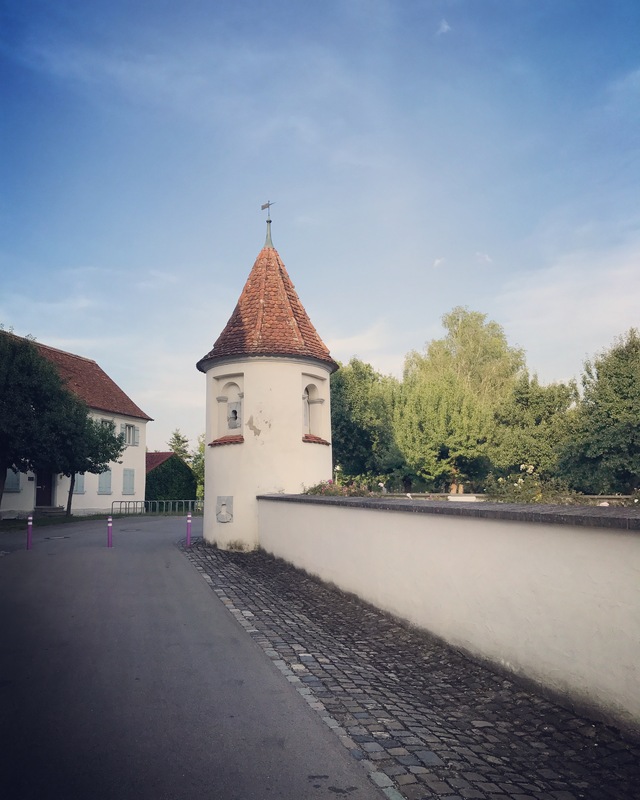 Staying in Salem turned out to be a treat for both of us as the place was not too touristy, therefore, we could experience somewhat more authentic German atmosphere. Did you know the place was given the biblical name “Salem”, which meant “place of peace”? We sat on one of the wooden benches near the hotel and mused how the name was fitting to the place like Salem. We should go back and have some rest, we stood up, patted our backsides and headed to the hotel. Look mum, their door handle is so pretty! 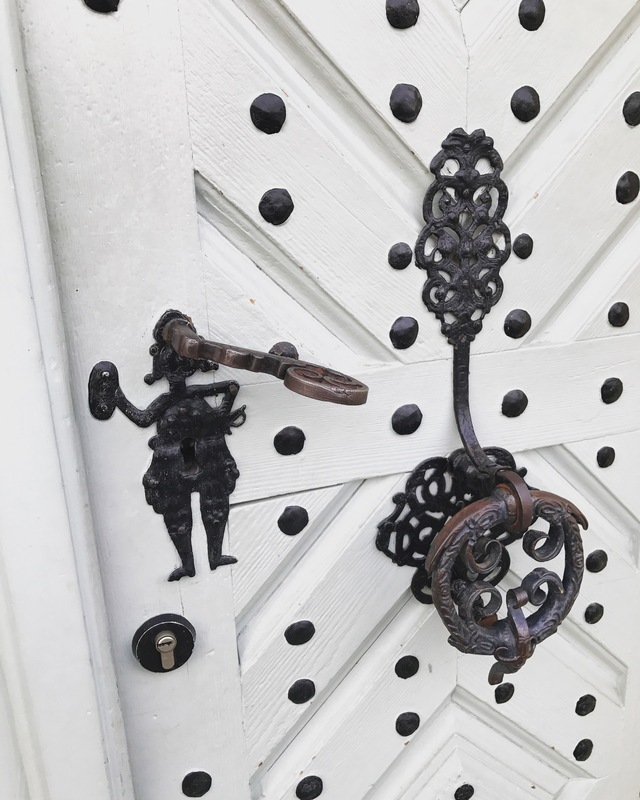 Were these made by one of the blacksmiths who were displaying wroughtiron works in the windows along the abbey square?